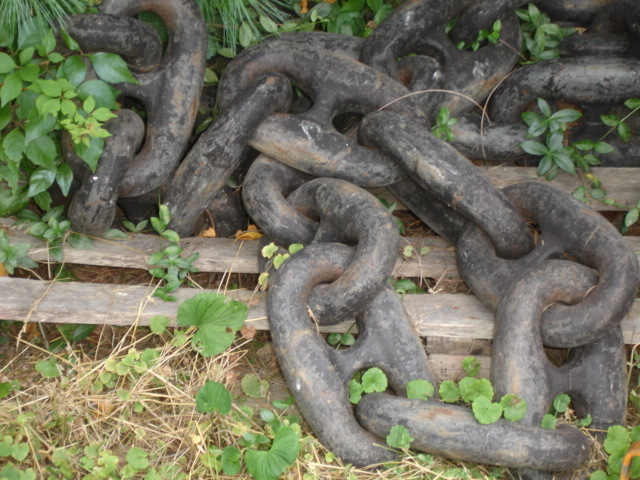 Giant nautical chain. Super heavy / industrial guage. Great for landscaping. Currently two sections available in roughly twenty foot lengths. Each section weighs in the neighborhood of 1000 pounds! Sold by the pound.